The summer morphed into an unpredictable fall. Meaningful work allowed a respite from the insanity of the world and my neighborhood (ie: explosion in Chelsea). As always I am grateful for family, a small circle of close friends and the talented colleagues I am fortunate to collaborate with. we filmed for our documentary in production, And…Seen. The main focus of the narrative is to challenge mainstream perceptions of disability. 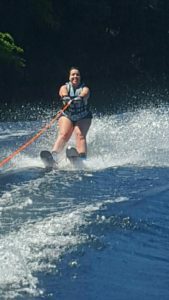 Our subject Jamie Petrone water skied at Leaps of Faith Adaptive Skiers in beautiful Sandy Hook, CT.
Special thanks to founder Joel Zeisler and staff for their hospitality. Barrio Boy the feature! 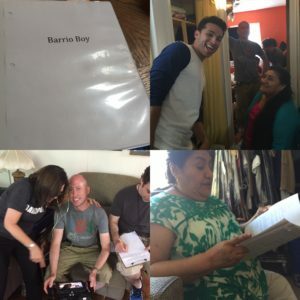 We are thrilled with the first rate ensemble of actors and crew who came together. The passion driving this project will bring this urgently needed narrative the attention it deserves within the independent film production community and audiences nation wide. Phase two pre-production begins Spring 2017. 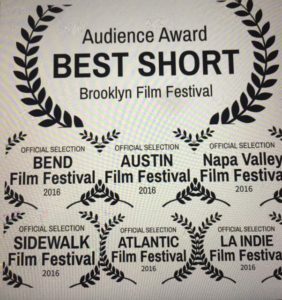 Off Track Betty a short film literally shot on film by writer/director Clayton Dean Smith was a NY Times Critics Pick and winner of Audience Favorite Narrative Short at the Brooklyn International Film Festival! 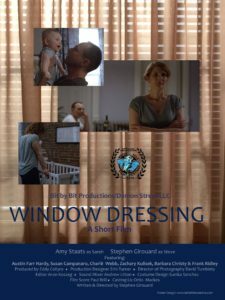 Big Apple Film Festival NYC Premier! The joy of teaching continues as I work with young, professional actors at The Performing Option www.ThePerformingOption.com, workshops for the SAG-AFTRA Foundation www.sagaftrafoundation.org and as a private audition coach.